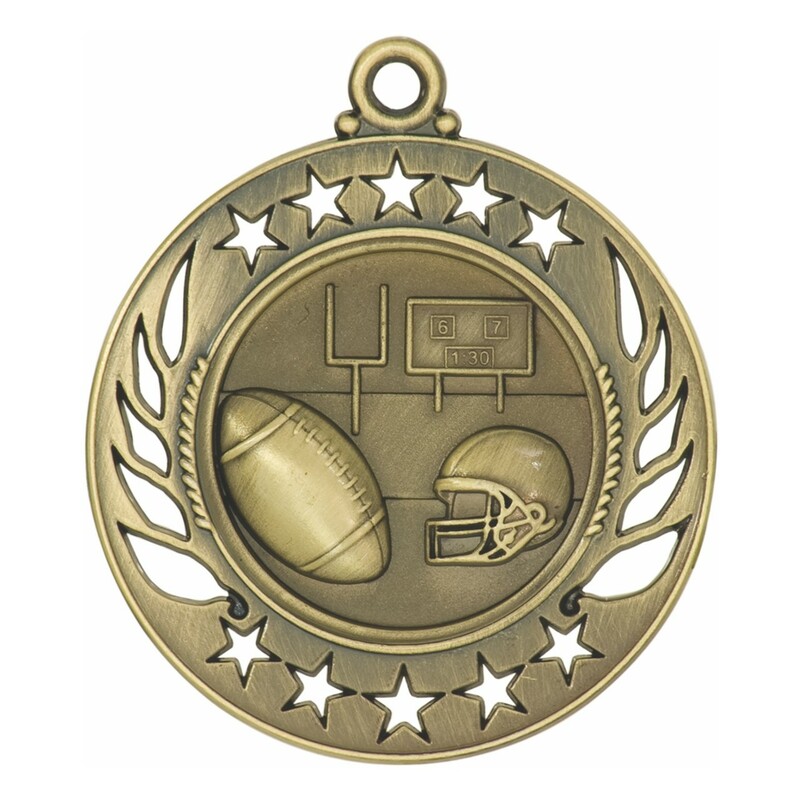 You are sure to create great football memories with these awesome Stencil Golden Football Medals! Made of solid metal with an antique finish, these medals have interesting cutouts that encircle a fun football scene. Be sure to enter your FREE engraving and add a special message for each and every player on your football team! 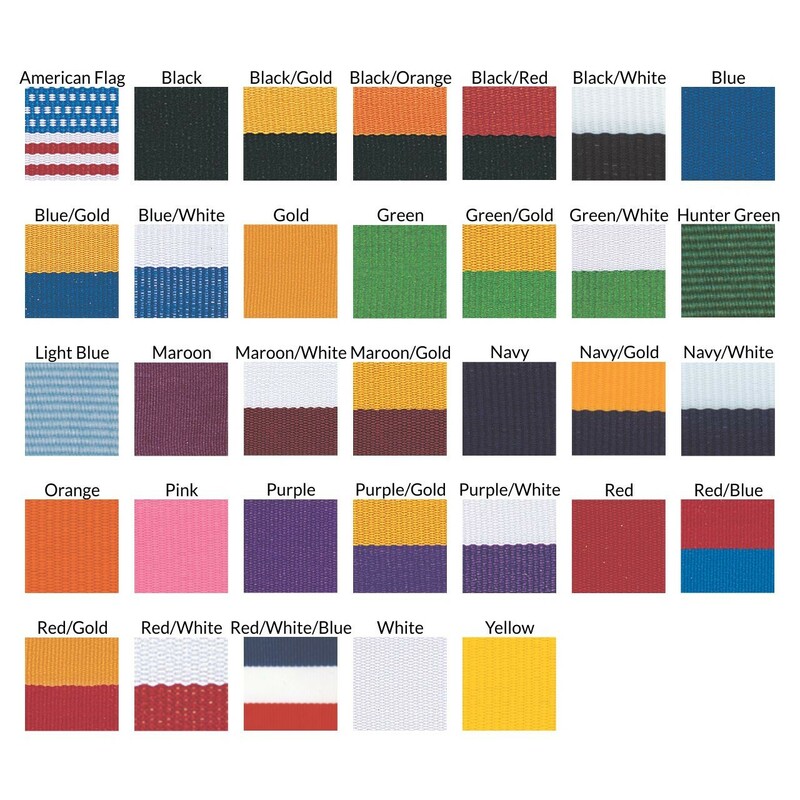 Your choice of ribbon color allows you to customize with your team colors!